The Greenwich Library Health Information Center provides privacy and access to resources and information on a variety of health related topics. The library owns more than 5000 circulating books on health-related topics and has print subscriptions to 31 health and wellness periodicals. 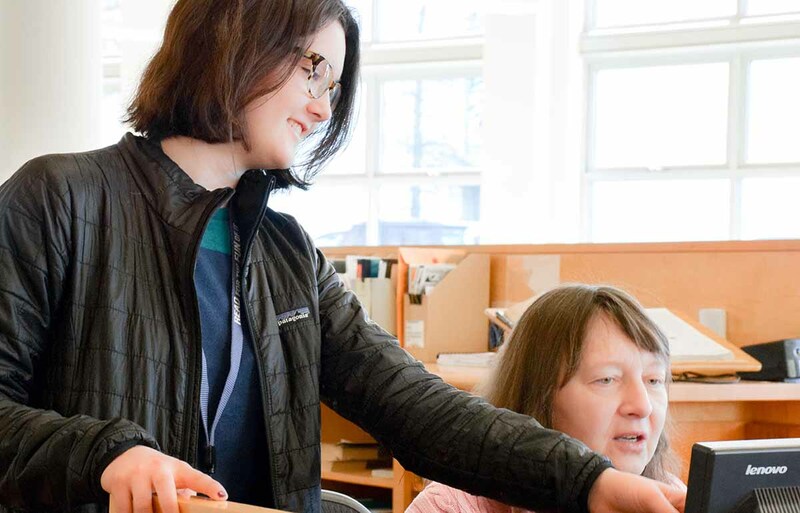 The Center houses more than 100 reference books, medical databases, a health-focused bulletin board and two dedicated printer-enabled workstations. Free blood pressure screenings are conducted by a registered nurse from Greenwich Hospital every Monday afternoon from 11:30 am until 1:30 pm in the Health Information Center at Greenwich Library. Are you eager to take your health journey to the next level? Use Great Courses through RBDigital and dive into courses on meditation, nutrition, natural healing and brain fitness! Access with your Library card and RBDigital password. Check out a broad and diverse selection of health & wellness documentaries from everyday health to sports and fitness and more on Kanopy using your Library card. This list of popular documentaries is a great place to start! We are excited to offer health specific events and programming. Check out what is coming up soon! Provides certification status and complete biographical and professional information about board certified physicians. ConsumerLab provides test results and information to help consumers evaluate health, wellness, and nutrition products including vitamins, minerals and supplements, sports and energy products and more. Health & Wellness Resource Center offers up-to-date reference material as well as full-text magazines, journals, and pamphlets from a wide variety of authoritative medical sources. It contains pages of carefully selected links to Web resources including dictionaries, directories, organizations, news sources and health topics. *Please note: Links to health-related databases and sites are provided for information purposes only. Any medical decisions should be made in consultation with your qualified health care provider. The Greenwich Library will not be held liable for any complications, injuries or other medical accidents arising from or in connection with the use of or reliance upon any information in the web. Stay up-to-date on the latest health programs by subscribing to the Library’s weekly eNewsletter.